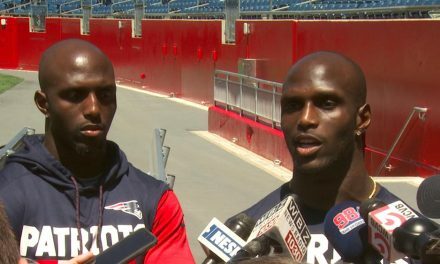 The Patriots have a history of nurturing young seeds into full bloom. Bill Belichick handles his crops with such care that once playoff harvesting season comes around they will win him the big blue ribbon at the county fair. Belichick has done just that with linebacker Marquis Flowers in the past week. All gardening puns aside, the Patriots defense in the past few weeks have substantially improved. This has come as a surprise to fans as defensive starters like Dont’a Hightower, Malcolm Brown, and Eric Rowe have been riddled with injuries. Since their second loss of the season against the Panthers, the Patriots’ defense has improved substantially each week. From Weeks 1 to 4 the defense let up 128 points. Ever since they have allowed only 75, not letting their opponent surpass 20 points in the past six games. Rocket scientist Matt Patricia has found the perfect playbook for his defense, and it all revolves around help defense. 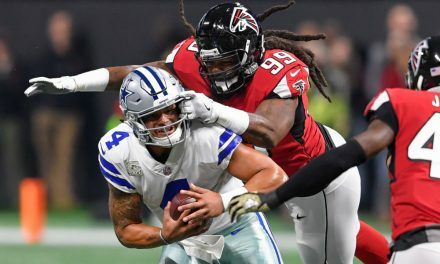 One area of the defense that has struggled for the majority of the season have been the linebacker corps. The depth has been thin to start the season and has continued to diminish after Dont’a Hightower, Harvey Langi, and Shea McClellin were placed on injury reserve. Elandon Roberts has been tasked with filling the hole in the defense that Hightower’s absence has created. 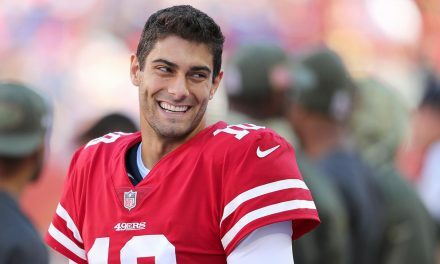 He has done a significant job thus far but was inactive against the Raiders due to injury. Kyle Van Noy has been a constant as of late in a system of changing parts. This weekend fans saw third year linebacker Marquis Flowers play alongside Van Noy. The Patriots acquired Flowers from the Bengals back in August in exchange for a 2018 seventh round draft pick. He started 35 of 50 games at the University of Arizona, logging 272 career tackles, 7½ sacks, five interceptions, and five forced fumbles. In the NFL he has bounced from the Panthers in 2014 to the Bengals until this offseason. Flowers served a role on special teams at the beginning of the season and became a reserve linebacker up until this weekend. 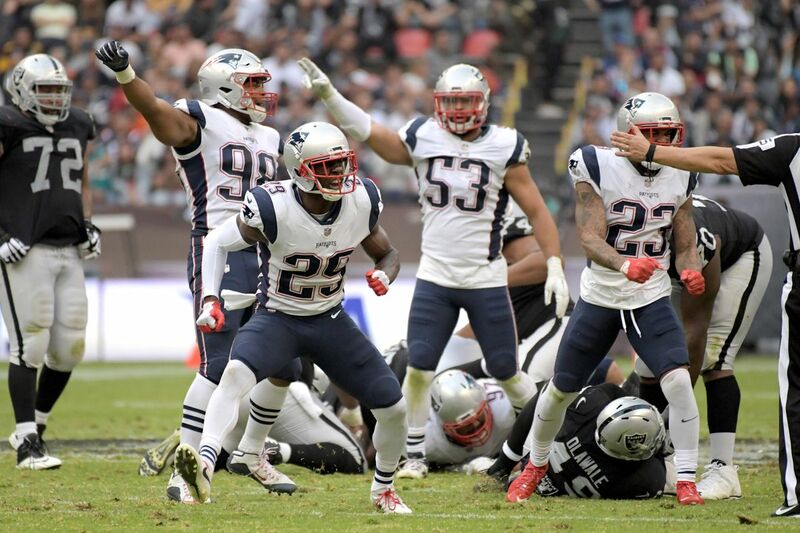 Against the Raiders he shared reps are the starting linebacker along Van Noy, racking up four tackles and a forced fumble that kept the Raiders out of the end zone in the first half. 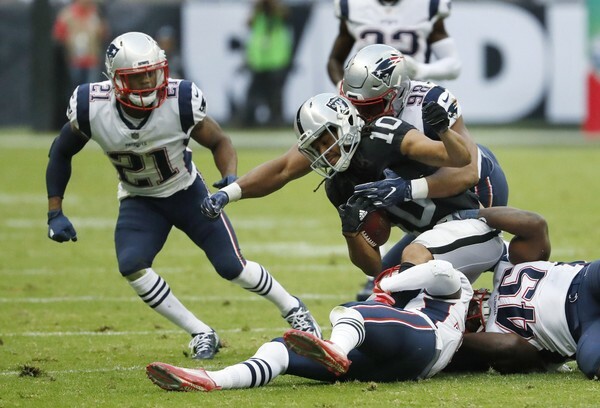 The fumble came deep in the red zone where Raiders receiver Seth Roberts almost cut the Patriot lead in half. Roberts held the ball away from his body as Jonathan Jones kept him in place. Marquis Flowers saw the opportunity and punched the ball out of Roberts’s hand, keeping the Raiders from converting any points in their one scoring position in the first half. “Huge play,” Marquis Flowers reflected to reporters. With Elandon Roberts nursing an ankle injury, it is possible that Flowers could earn more snaps soon. In the Belichick system, more preparation and practice translates to more playing time Flowers has done just that this season. Last weekend Flowers played 19 snaps against the Broncos. This weekend he was a regular on the defense’s third down unit. “I’m thankful that I went to an organization that allows you to compete, and when you are doing something well they allow you to play to your abilities,” Flowers said. 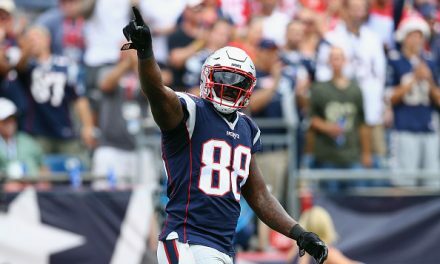 It’s no surprise to fans now that the Patriots have utilized yet another player acquired in the offseason. This is one of many instances this season alone where this has happened. Johnson Bademosi, traded from the Lions in August, has earned a significant increase in snaps after shutting down Julio Jones in Stephon Gilmore’s absence earlier this season. Cassius Marsh, a defensive end traded from the Seahawks in the preseason, also has been able to add depth to a once ailing left side of defensive line after Rob Ninkovich retired. 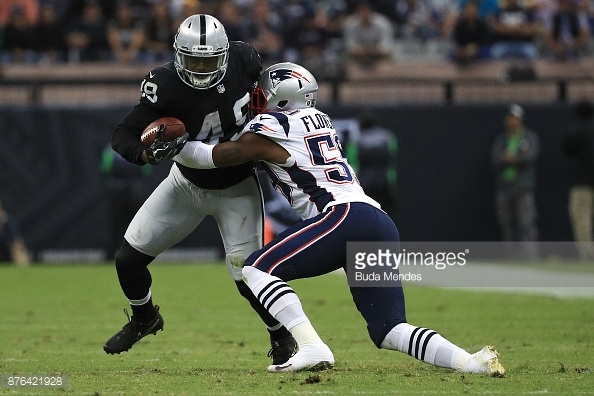 Flowers is the newest addition to the role players that have come up big for the Patriots this season alone. The Patriots thrive upon bringing in players that were insignificant on one team and exploiting their strengths. It just comes to show that one man’s trash is another man’s treasure. Coach Belichick can convert just about any player to look like a star for the Patriots.